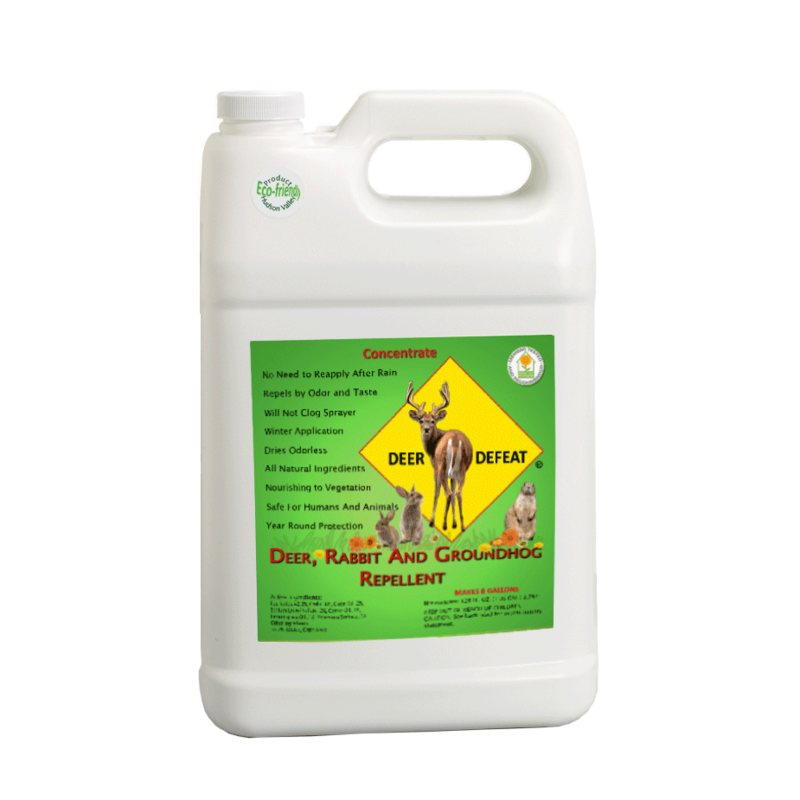 Mix our 1 gallon Liquid Concentrate with water to create eight gallons of Ready To Use all natural deer, rabbit and groundhog repellent. This is a great choice for landscapers and homeowners with large properties or more significant protection needs. Covers 16,000 square feet. Makes eight gallons of Ready to Use repellent. All eight gallons do not need to be made at one time.